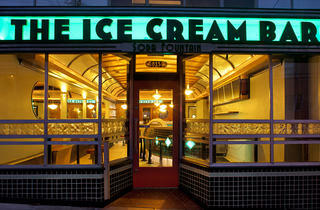 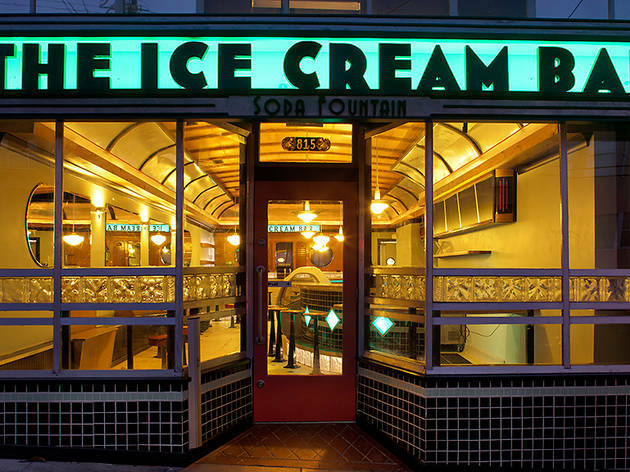 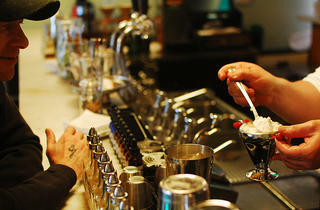 Walking into Ice Cream Bar is entering a time warp, from the retro glassware to the paper-hat-clad teens behind the counter. 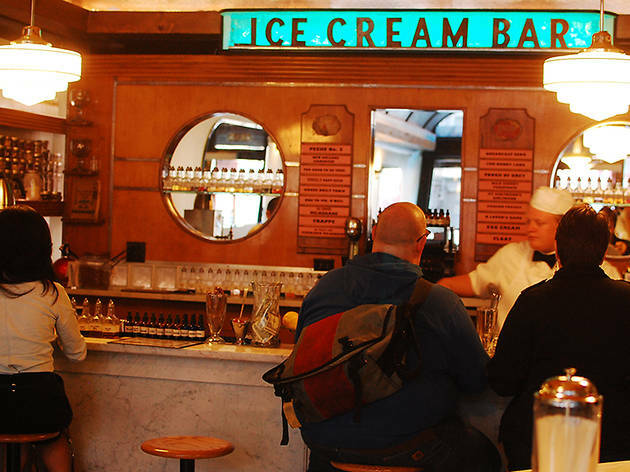 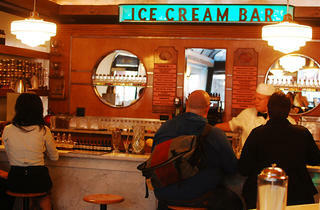 The 1930s-style soda fountain takes its inspiration (and some of its equipment) from old-school Midwestern lunch counters. 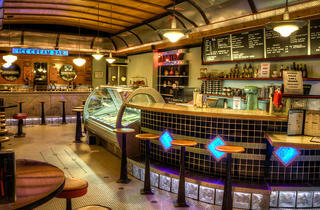 Everything from the ice cream to the sandwich bread is made in-house using organic ingredients. 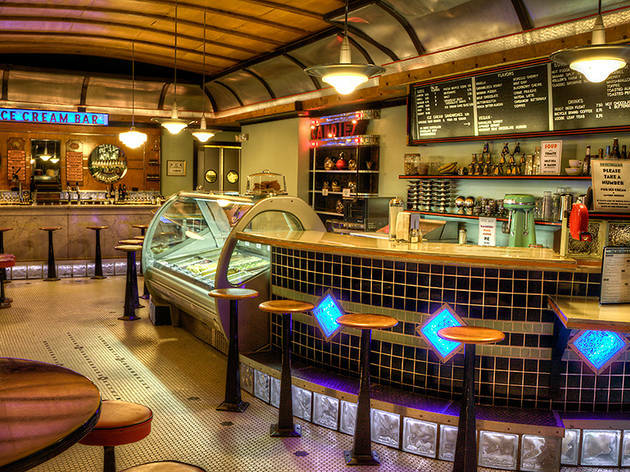 Pastry chef Lori Rich whips up small-batch flavors like butterscotch, caramel popcorn, banana puddin’, and morello cherry, plus vegan-friendly sorbets like passion fruit and honeydew jasmine. 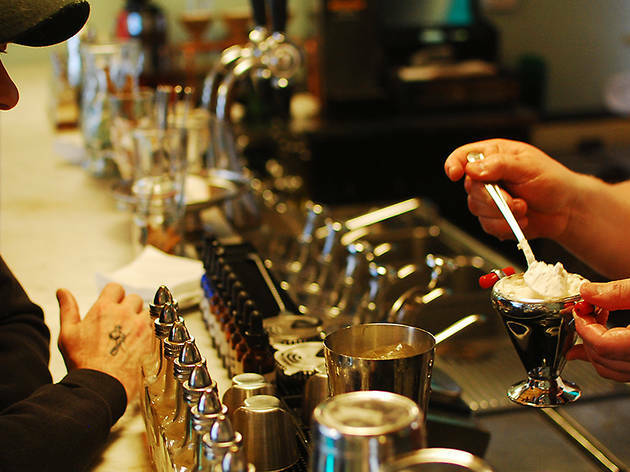 Adult customers can tuck into boozy fountain drinks like the Cracked Cola (Cocchi Vermouth Di Torino, Cole St. cola syrup, angostura bitters, acid phosphate, and morello cherry) and the Dublin Honey (Guinness, caramelized honey ice cream, Valrhona chocolate syrup, and Graham’s 10 year tawny port).